The 20 million euros project is to finance a road in Eritrea as part of its programme to minimize migration from Africa into Europe. 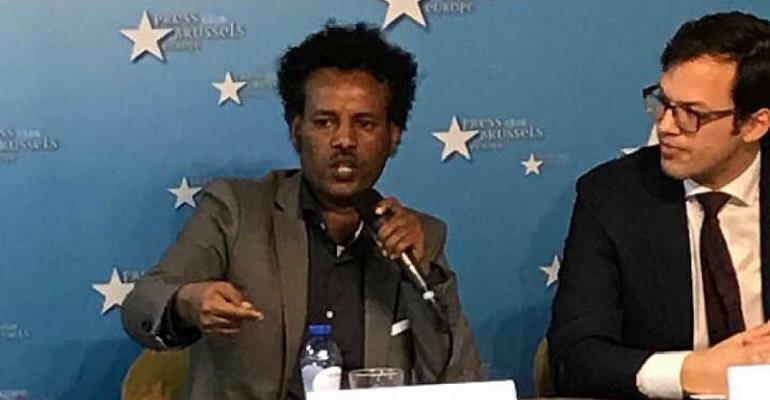 In a letter sent to the European Union Emergency Trust Fund for Africa dated April 1st, the lawyer representing the Foundation Human Rights for Eritreans (FHRE), the EU's project is aware of the problem. Eritrea has one of the highest rates of people fleeing the country due to its national service law. According to Human Rights Watch, some 12 percent of the population has risked the journey to migrate to Europe or to neighbouring countries. National service is officialy at 18 months, but despite the war having ended in 2000 between Ethiopia-Eritrea, hostilities continued on, so this period of conscription was extended to indefinitely. A 2016 UN Human Rights investigation confirmed that conscripts were being used as forced labour; the very labour that the EU stands to benefit from for the realization of its project. The road rehabilitation scheme was launched in February of this year. The idea is to connect Eritrea's ports to its border with Ethiopia, now that the war between the two feuding nations has officially ended. The project itself is part of a package of support to the Horn of Africa aimed to stem the lfow of migrants. The EU Emergency Trust Fund is financing the project even though on its website it clearly reads: “Eritrea is a major source of asylum seekers…..our main aim in the country is to create an enable environment that improves economic opportunties available to young people”. Emiel Jurjens, the lawyer representing the FHRE, told RFI that human rights in such endeavours must be respected, especially since in this case, the UN confirmed just last week that the ongoing human rights situation in Eritrea remains unsatisfactory. On Monday, April 1st, Jurjens said the first step launched, with a letter of summons to the EU. The main issue is that the EU is knowingly going ahead with this plan despite the fact that it may benefit whether directly or indirectly from forced labour. “The EU is, in many ways, bound by human rights standards, and one example is the charter of fundamental rights in which it states very clearly that forced labour is prohibited in article 5 to be precise. That is the case in a nutshell” explains the lawyer. He adds that the starting point for any project, especially one in which human rights issues have been a problem for years, should have been discussed or considered before launching into any concrete plans. The EU has said it will carefully monitor the work to ensure people are “adequately” paid and treated properly. But Jurjens sees it differently. “In a nut shell, the EU will be using forced labour or will be financing forced labour for a project in EU. . . The EU is, in many ways, bound by human rights standards, and one example is the charter of fundamental rights in which it states very clearly that forced labour is prohibited in article 5 to be precise."